This short is tutorial is on how to upload an .xml template file in Blogger. 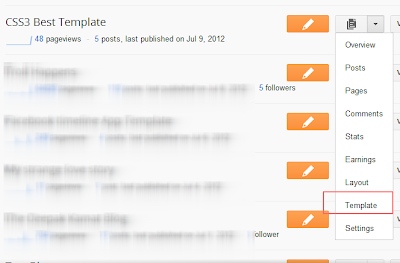 Note that only .xml files can be uploaded as template in Blogger. The first obvious thing you have to do is log into your Blogger profile. 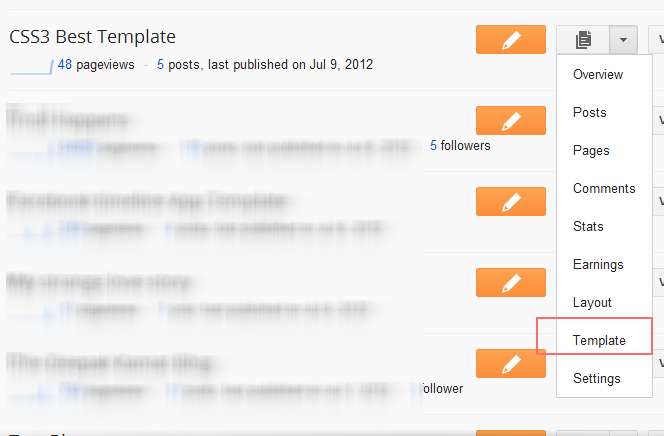 Now when you are successfully into your Blogger Dashboard click on the 'Template' tab. 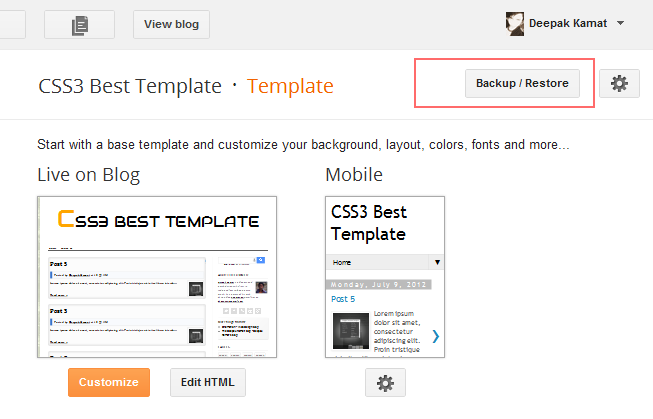 Now, when you are in the Template tab you will see Backup/Restore button on top right corner of the page, click on it. After you hit the Backup/Restore button, a box will appear on the scree. 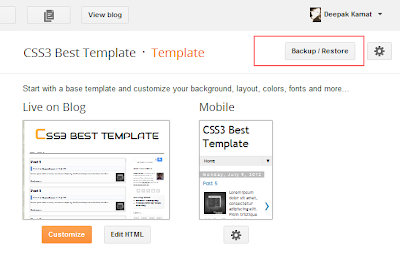 First of all Backup your template by downloading a copy of your current Template. 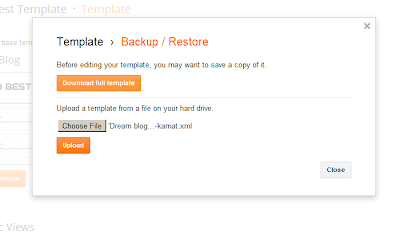 Now click on the 'Choose file' button and locate for the .xml template file you want to upload, when selected the template file click on the Upload. 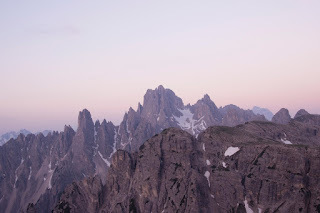 Uploaded and you are done ! That's it.